Unleash this bold buffalo sauce and let it run wild on your next meal. 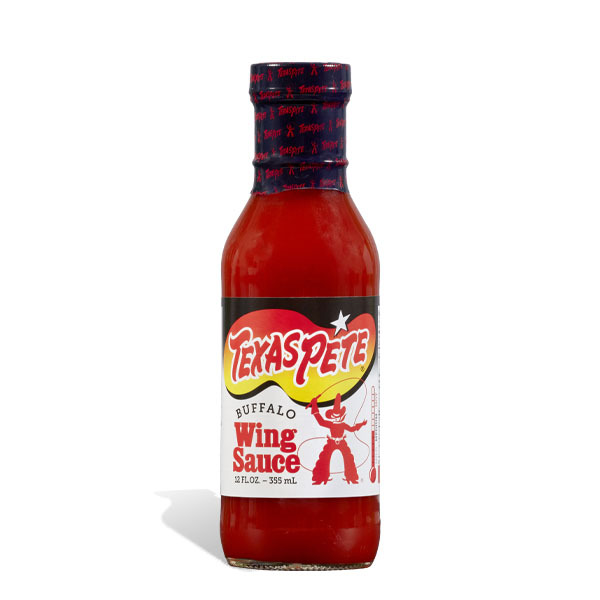 The zesty flavors of Texas Pete® Buffalo Hot Wing Sauce are sure to turn the heat up a notch. 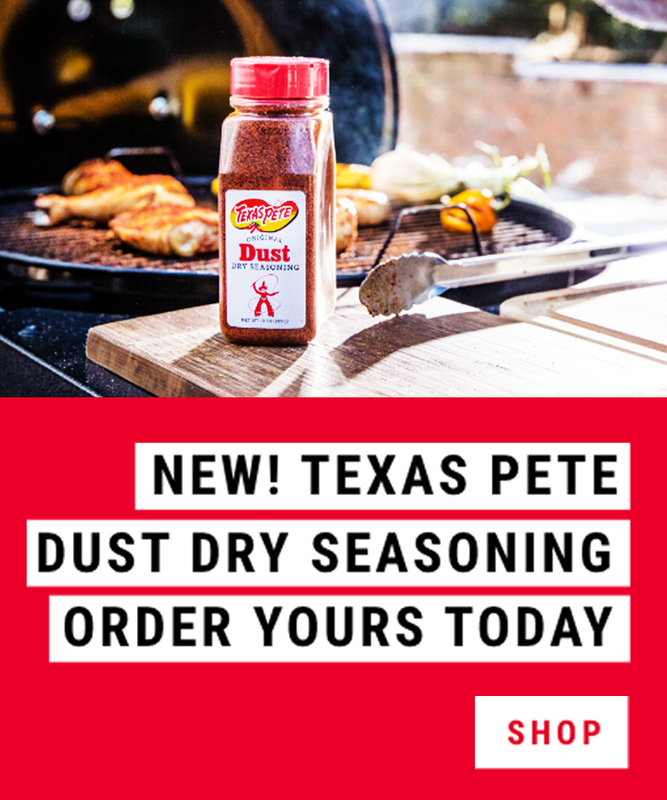 Vinegar, Aged Peppers (Peppers, Salt, Vinegar), Water, Xanthan Gum and Benzoate of Soda (To Preserve Freshness and Flavor), Natural Butter Type Flavor, Vinegar, Salt, Sugar, Potassium Sorbate (To Preserve Freshness and Flavor). Manufactured on a line that produces products with a soy allergen.